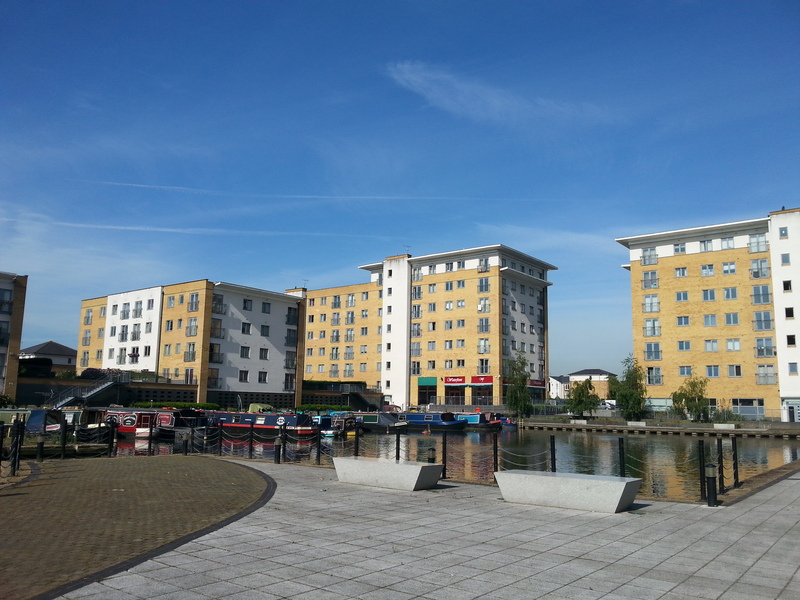 Engineers Wharf lies within a modern urban village on the Paddington Arm of the Grand Union Canal in Northolt, west London. The off-line basin has 23 residential moorings each with their own direct connections to electricity and water. Located next to the site, Grand Union Village has a health centre, pharmacy, small supermarket and other community facilities. 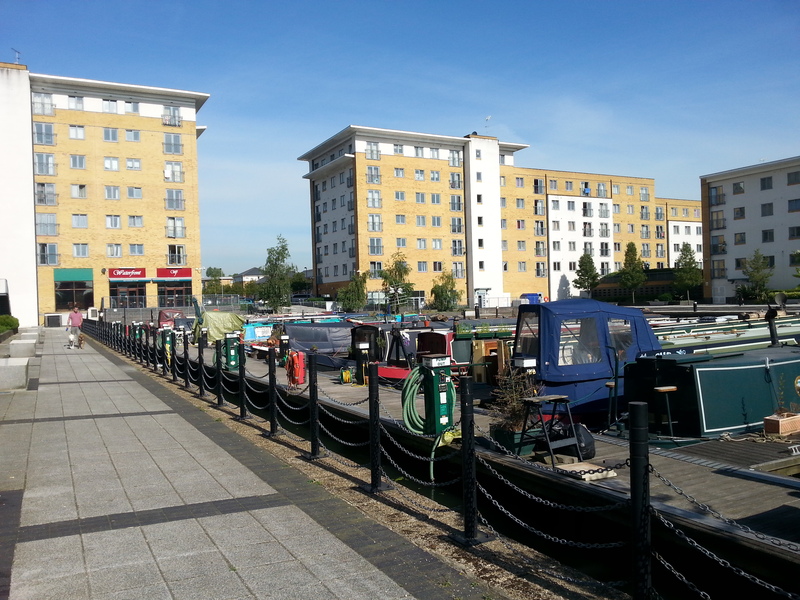 The mooring is accessed via Grand Union Village, Taywood Road, off Broadmead Road, Northolt, Middlesex, UB5 6GT. There is a service bollard between each pair of boats with one water tap, one 32 amp electric socket and meter supply per boat. Electricity supply is Smart Meters where payment is made via an on-line portal. You will need to obtain a 32 amp plug and boat cable prior to arrival. There are five card operated pumpout service bollards on the pontoons. Cards can be purchased from the Trust's Docklands office. All berths have a telecomms connection which can be organised via British Telecom. The dedicated facilities building houses toilets, showers, elsan, laundry (service cards required) and storage provision (subject to availability). 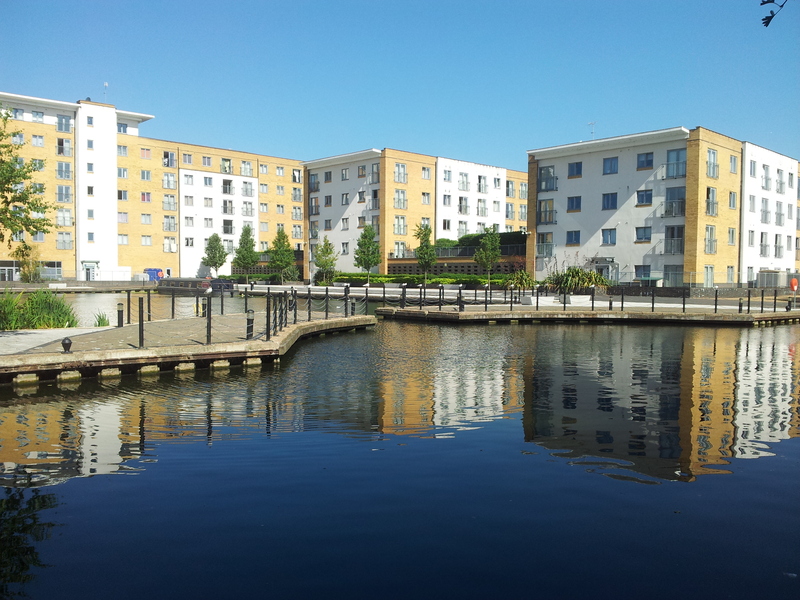 The boaters refuse facility is in the adjacent apartment block, Hertford House. The mooring fee does not include car parking. There is no designated car parking available on site but some on street parking within the village exists. A few parking spaces in the underground car park may be available for rent separate to the mooring agreement. Access to the pontoons is for keyholders only. Keys can be purchased from the Moorings Manager for a refundable deposit of £50 each. Refunds will be given on return of the key with a valid receipt. There is a local Costcutter store, a creche, hairdressers, and local community meeting rooms located within the village adjacent. 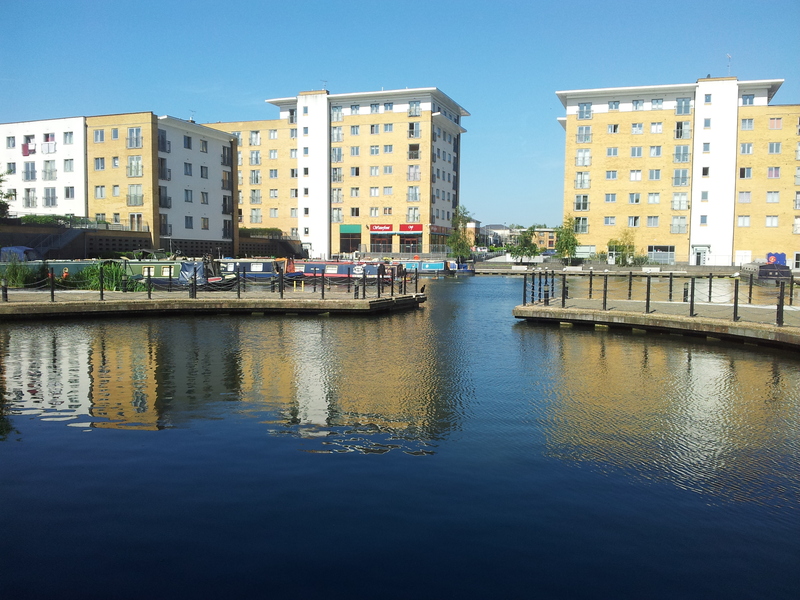 The Marina has no access restrictions as it is surrounded by a public piazza and can be viewed at any time. Access to the pontoons and boaters facilities building is controlled and viewing is by appointment only, arranged with the Mooring Manager London.